Once the water has boiled, add the tea or teabags. Take the pot off the heat and let the tea steep. If you are using teabags, take them out after 2-4 minutes. If using loose leaf tea, you can let it steep for up to 10 minutes without the tea getting bitter. 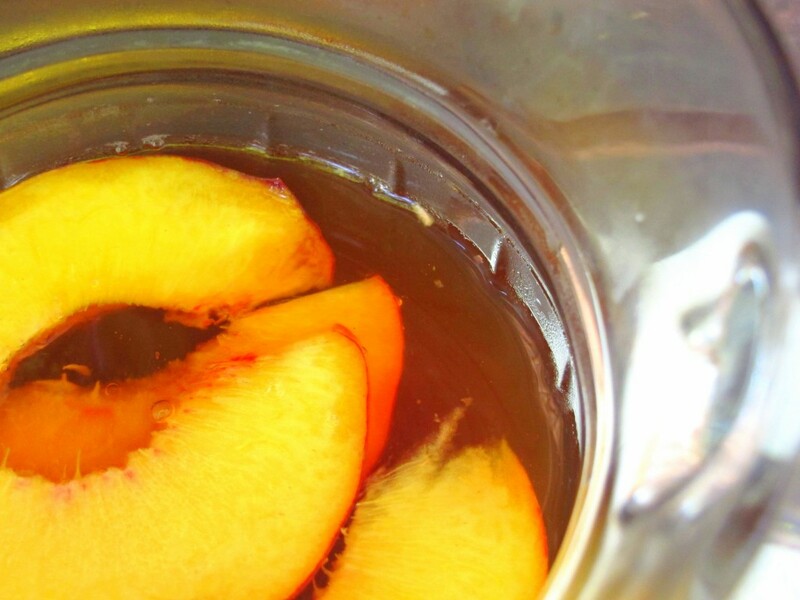 Add the peach simple syrup. You might need more, if you want a stronger peach flavour. Let the tea cool, then chill it in the fridge.